Canadian skiers and snowboarders who are seeking downhill thrills further afield will likely include Colorado in their considerations. But the choice of ski resorts in the state is so vast and potentially confusing that a basic overview can be helpful. One thing is for sure… “the Canadian market is a top market for Colorado’s ski areas and has been for the last few decades,” says Chris Linsmayer, public affairs director for Colorado Ski Country USA, representing member resorts in the state. It may be common knowledge, but it bears repeating that the ski mountains of Colorado are dominated by two giant resort operators – Vail and Aspen. Both are in the midst of expansionary projects, whereby international resort collectives are being formed. With economies of scale in effect, the two groups are able to offer reasonably priced ski lift passes that are useable across countries and continents. Ski consumers are the ones who stand to benefit from these changes. The Vail Epic Pass offering guests access to 15 resorts in three countries. It provides skiers and riders with unrestricted access to Vail, Beaver Creek, Breckenridge, Keystone and Arapahoe Basin in Colorado. New for the 2018-19 winter season, the Epic Pass features unlimited skiing and riding in Crested Butte and seven days in Telluride, Colorado. Access to Whistler Blackcomb is also included in the Epic Pass (plus Fernie Alpine Resort, Kicking Horse Mountain Resort and Kimberley Alpine Resort in BC, Nakiska in Alberta, and Mont Sainte Anne and Stoneham in Quebec on a limited basis), so that helps open the door for Canadians to experience skiing in Colorado at reasonable rates. The pass sells for US$899, and also features European resorts. 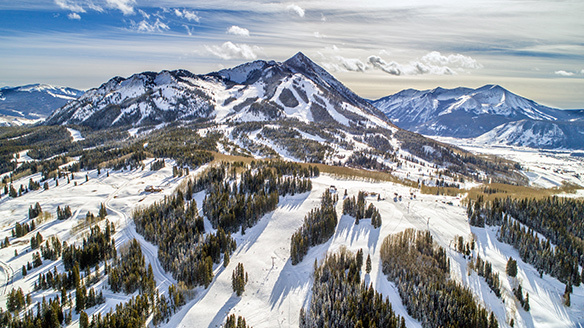 Meanwhile, Aspen is a lead partner in the Ikon Pass, which unites 23 ski destinations in nine states and three Canadian provinces under one access pass. In Colorado, the Ikon Pass is useable at Aspen Snowmass, Steamboat, Winter Park Resort, Copper Mountain and Eldora Mountain Resort. The pass also provides limited access visits to Revelstoke Mountain and Cypress Mountain in B.C., plus Mt. Norquay, Sunshine and Lake Louise in AB, and Blue Mountain in ON. Canadian pass holders therefore get the same sort of incentive to visit Colorado. The Ikon Pass is priced at US$999. Aspen Snowmass consists of four mountains, including Aspen Mountain, Aspen Highlands, Snowmass and Buttermilk. All are closely linked through two towns that offer accommodations and après ski, and the four mountains are connected by short rides on a free and efficient bus system. Snowmass is Colorado’s second largest ski area, featuring over 1,200 skiable hectares. The vast expanse of terrain includes 94 trails and the largest vertical descent of any resort in North America. There is something for all ability levels, from learner to expert. Of the four mountains, Aspen Highlands is a favourite with locals and knowledgeable skiers and riders who tackle its uncrowded slopes. Views over the valley from the Highland Bowl to the snow-covered Maroon Bells are sublime. Buttermilk is best known around the world for being home to the Winter X Games and the mountain has become an icon for freestyle riders and skiers. But the mountain is also attractive for beginners and families, with uncrowded beginner terrain and The Hideout, a learning center for young skiers. As the third largest ski resort in the US, Vail Ski Resort has a vast variety of terrain, including eight lift-serviced regions and back bowls, and 2,100 skiable hectares. It boasts 300-plus days of sunshine and 940-plus centimetres of snow each year – not to mention majestic mountain views. New at Vail this year will be Emma, a digital mountain assistant to help guide guests on the mountain, using both artificial intelligence (AI) and natural language processing (NLP) to answer guest questions. Breckenridge is in the Vail portfolio of resorts, and it offers some of the best above tree-line skiing and snowboarding in North America, with 11 bowls that features blues, blacks to double black diamond trails. On a clear day, the treeless, powdery slopes offer views forever, including historic Breckenridge far below. Beaver Creek also operates under the Vail umbrella and is known as a top luxury ski resort for families. To improve the experience for beginner and intermediate skiers, Beaver Creek is opening a new 80-hectare family learning area accessed by a new high-speed lift this year. 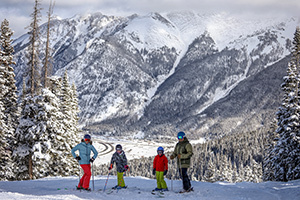 Keystone is another Vail-owned resort that is very family friendly and proves it with a kids-ski-free policy. Kids 12 and younger ski for free all season long, with no blackout dates when family’s book two or more nights of lodging through Keystone Resort. 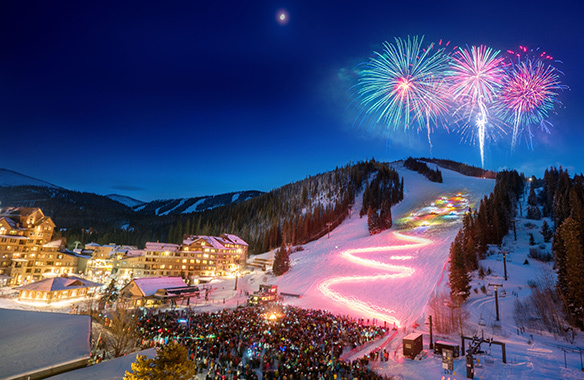 Keystone’s Kidtopia offers free activities like a village parade and fireworks, family snowshoeing and meeting Keystone’s ski patrol rescue dogs. Following are short descriptions of other ski resorts and mountains in Colorado. With nearly 1,200 skiable hectares of terrain for all ability levels, Steamboat has produced more Olympians than any other town in America. Steamboat features the Cowboy Downhill and Winter Carnival annually, with cowboys racing down the slopes and skiers pulled by horse along the main street. Steamboat’s gondola has undergone a major renovation to improve the guest experience. Another giant of the Rockies, Winter Park offers the Winter Park Express, a train from downtown Denver that drops skiers within 100 metres of the lifts. Heading into the 2018-19 season, Winter Park has installed a new 10-person gondola to greatly increase skier capacity. Long recognized as a mecca for expert skiers and snowboarders, Crested Butte is nestled in central Colorado. The mountain features over 600 hectares of terrain with a 200-hectare expansion of intermediate and expert terrain, plus three new lifts, planned for the future. Crested Butte is a short drive from the Gunnison airport, which offers flights from various connecting airports. For expert skiers and snowboarders only, Silverton Mountain doesn’t have a single beginner or intermediate run. However, it does have a helicopter skiing operation, offering daylong rentals and even single helidrops, a bucket-list item for many skiers, for about US$200. Located in the southern part of the state, Wolf Creek consistently gets the most snowfall of any ski area in Colorado at roughly 1,100 centimetres annually. 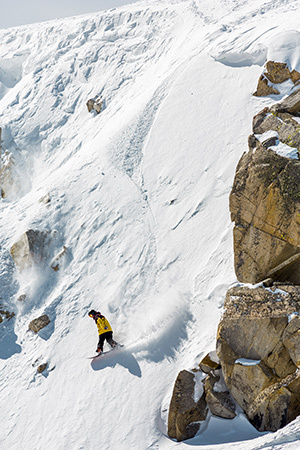 This makes Wolf Creek a must-visit mountain for many skiers and snowboarders. Wolf Creek’s new conveyor Lynx lift helps everyone from beginners to experts and access existing terrain. Arapahoe Basin is home to usually the longest ski season in America, typically running its lifts from mid-October to June and sometimes into July. A-Basin is opening an additional 190 hectares of intermediate and advanced terrain as well as a new four-person lift to service that terrain for the 2018-19 season. Consistently ranked as amongst the top five best ski resorts in North America, Telluride is nestled in the stunning San Juan mountains. It features the highest elevation on-mountain restaurant in North America, with Alpino Vino at about 3,600 metres. Telluride has some of the steepest terrain in the state, but has also remastered its beginner learning area in recent years.